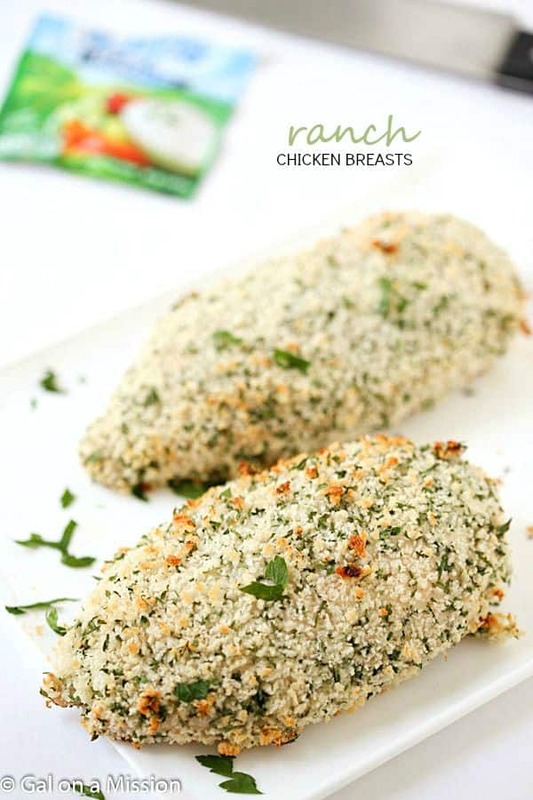 Ranch Chicken Breasts – Juicy and tender on the interior, flavorful and crunchy on the exterior. Made with only 4-ingredients! A family favorite. If you haven’t jumped on the ranch bandwagon yet, I highly recommend you should. It’s amazing, especially on top of these chicken breasts. When I had the idea of ranch chicken breasts, I didn’t know how they would turn out. Or what condiment I should dip them in. I’m that kind of person. I love my dipping sauces. Don’t tell anyone, but barbecue sauce pairs well with these. Add a great side dish to these chicken breasts and you have an excellent meal the entire family will love. Did I also mention easy, as well? For a side dish, I recommend my favorite and popular loaded potato casserole or crockpot ranch mashed potatoes. Chicken recipes are always one of my go-to main dish for dinner. We enjoyed Baked Cajun Chicken Breasts, especially Cheesy Bacon Chicken Breasts. What’s not to love about bacon and cheese? The best part of these chicken breasts, you only need four ingredients minus salt and pepper. I do not count salt and pepper as an ingredient because they are staples in a recipe. Preheat oven to 350 degrees. Grease a large baking sheet or dish. Set aside. Mix the mayonnaise and ranch dip seasoning. Coat each chicken breast in the mixture. 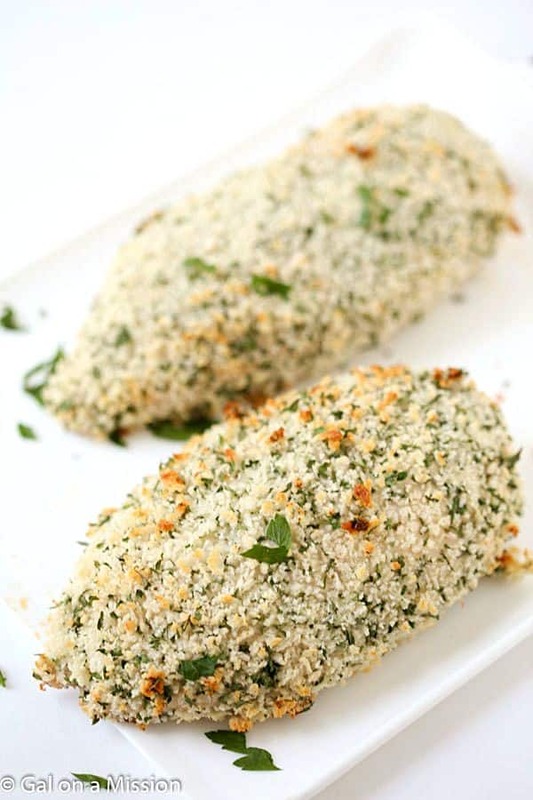 Pat each chicken breast into the panko bread crumbs. Place onto the baking sheet or dish. Bake for 40 minutes. Allow the chicken breasts to rest for 10 minutes. Slice and serve. Made this yesterday for dinner and it was wonderful and so tasty.